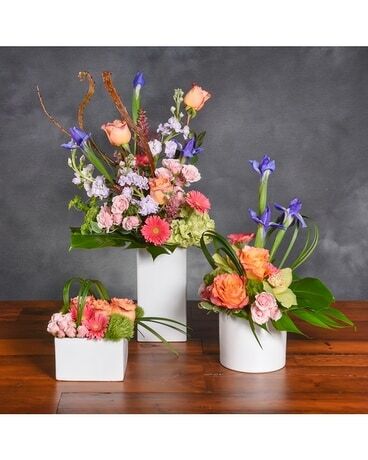 Trio of three arrangements of premium garden flowers. 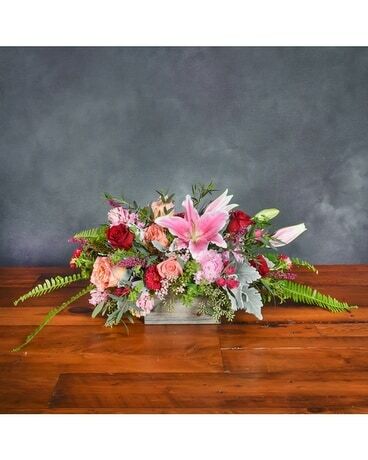 A small, end table arrangement, medium sized coffee table arrangement and one large arrangement perfect for your dining room table. These florals are designed to look like you just picked them from your garden.